Liver function tests are a group of tests conducted in blood that help in diagnosing liver disorders and to detect inflammation and damage to the liver. LFT also check how well the liver is functioning. The tests measure the levels of certain enzymes and proteins in the blood. Also known as HBsAg and Hepatitis B Surface Antigen, Australia antigen is Hepatitis B surface antigen. A positive Australia antigen test report means that the person may be suffering from hepatitis B. This may be acute hepatitis, chronic hepatitis or in carrier state. This test is done in a blood sample. These enzymes, formerly known as SGOT and SGPT, are normally found in liver cells that leak out of cells and mixes in blood when liver cells gets injured. The ALT is a more specific indicator of liver inflammation as AST can also be found in other organs like heart and skeletal muscles. Due to injury to the liver, as in cases of viral hepatitis, the level of the ALT and AST may be used as a general indicator of the degree of liver damage or inflammation. The alkaline phosphatise is a commonly used test to detect obstruction in the biliary system (bile vessels). Elevation of this enzyme may be found in gallstone disease, excessive alcohol abuse and drug-induced hepatitis. It can also be found in primary biliary cirrhosis (PBC) or biliary tumours. Bilirubin is the primary bile pigment which, when elevated causes the yellow discoloration of the skin, commonly known as jaundice and is a byproduct of the normal breakdown of red blood cells in the body. Bilirubin can be elevated in many forms of liver or biliary diseases. It is a major protein which is formed by the liver. Although there could be several factors which can affect the level of albumin in the blood but chronic liver diseases causes a dip in the amount of albumin produced, and therefore the level of albumin in the blood gets reduced and shows up in the albumin test. Gamma-glutamyltransferase is an enzyme found in the blood. Abnormally high levels may indicate liver or bile duct damage. L-lactate dehydrogenase is also an enzyme found in the liver and its elevated levels may indicate liver damage. A regular preventive health checkup will keep you updated with the status of your liver and its functioning. Depending on the results of certain tests, many ailments and diseases can be easily detected. 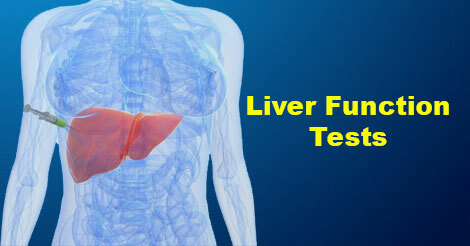 Liver function tests give an insight of liver health. Indus Health Plus offers comprehensive health checkup and offers your complete health status in a better way. 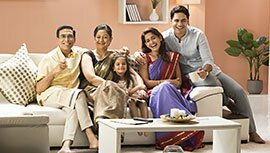 Get in touch with us by filling up the query form and our team will contact you soon.